What is happening in our culture? Why is there so much violence? 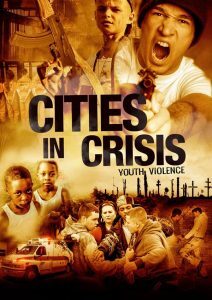 Cities in Crisis is a television docu-series from RETV designed to analyze topics and social ills that concern citizens around the globe. This pilot episode boldly explores the anatomy of the youth violence epidemic and focuses on cities like Jersey City, Newark, Detroit, and Chicago, as well as cities in California. We address important issues, such as bullying, gun violence, and gang violence. Our program also features discussions from political figures like Jersey City's Mayor Steve Fulop, Newark Mayor, and Ras Baraka, as well as educators, industry professionals, and community people like you and me. They all lend their voice to discuss a problem that is ravaging communities across the United States and abroad. Support our efforts by donating to our GoFundMe page. Any amount will help young people. Or support the cause by downloading the pilot episode! Together we can prevent youth violence. *All proceeds go to our youth programs and to support future episodes of Cities in Crisis. Contact us to join the movement. Contact our company to see how you can be involved in our cause. We offer hip hop entertainment throughout the nation.